Known for being man’s best friend, dogs are often idolised as faithful lifelong companions. 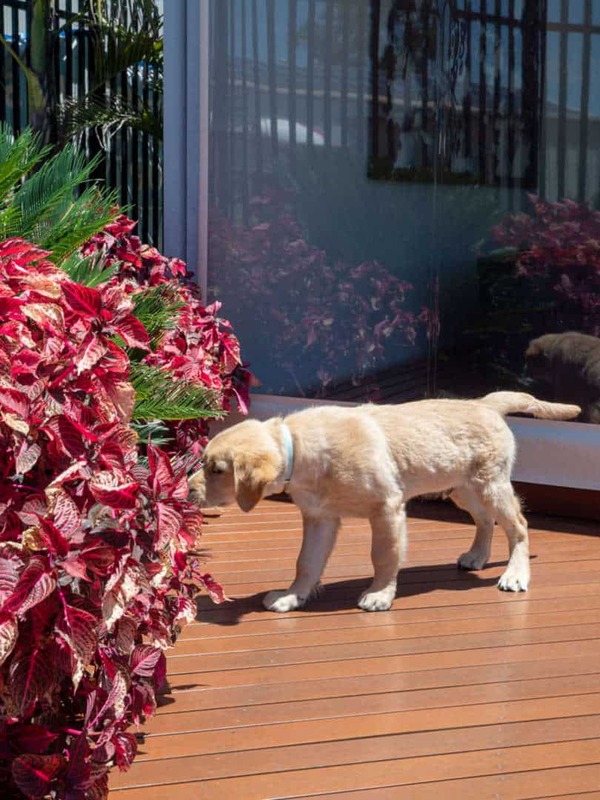 Here at Australian Outdoor Living we love the outdoors, and we love watching our furry friends enjoy themselves. 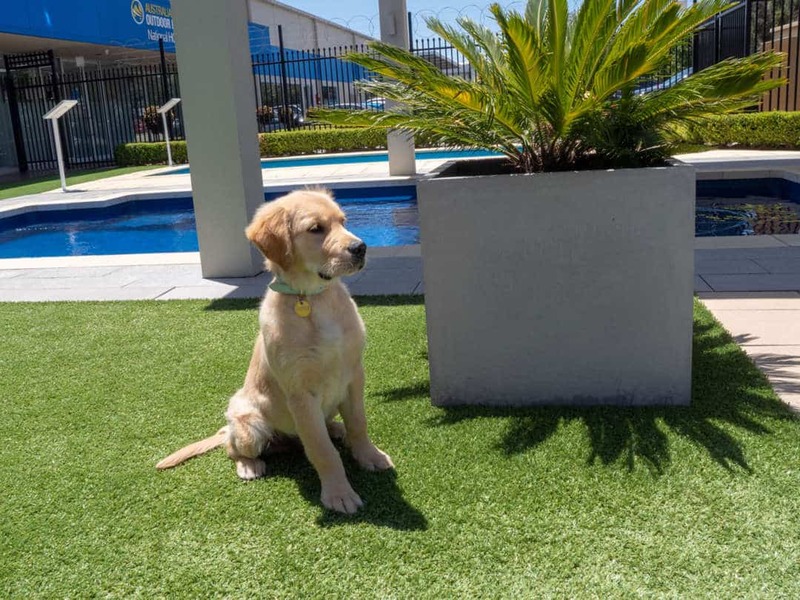 There’s nothing we like more than watching our pups, whether they’re playing on our artificial lawns, walking through our picturesque outdoor areas or splashing about in our pools. In fact, we love dogs so much here at AOL that we decided to dedicate a series of blogs to our favourite furry friends! ‘Dogs of AOL’ focuses on introducing you to the cute puppers and doggos from our AOL photo shoots. We’ll get valuable insights from their owners as well as first person accounts from our office staff about what it was like to be around such lovely pups. After all, every dog deserves to be the centre of attention. 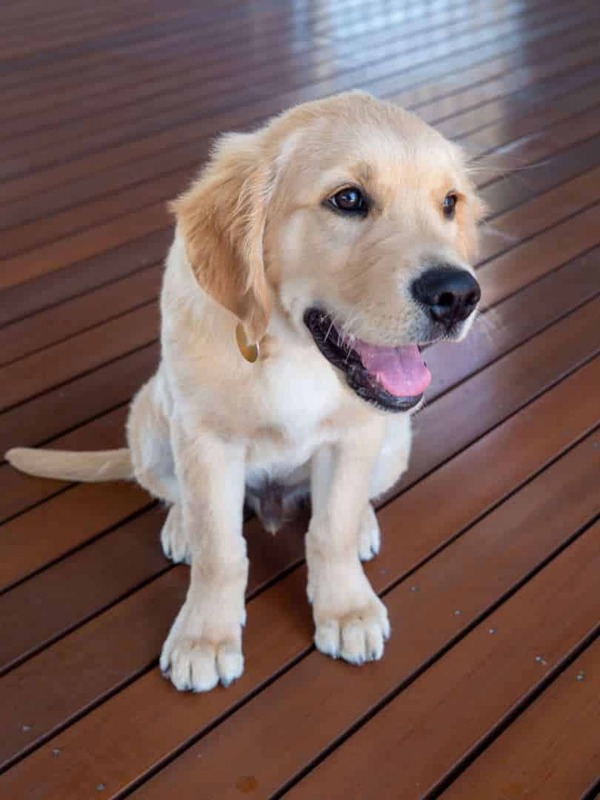 Golden Retrievers were initially bred to retrieve game during hunting and shooting parties, but over time they have become more popular as a family pet. 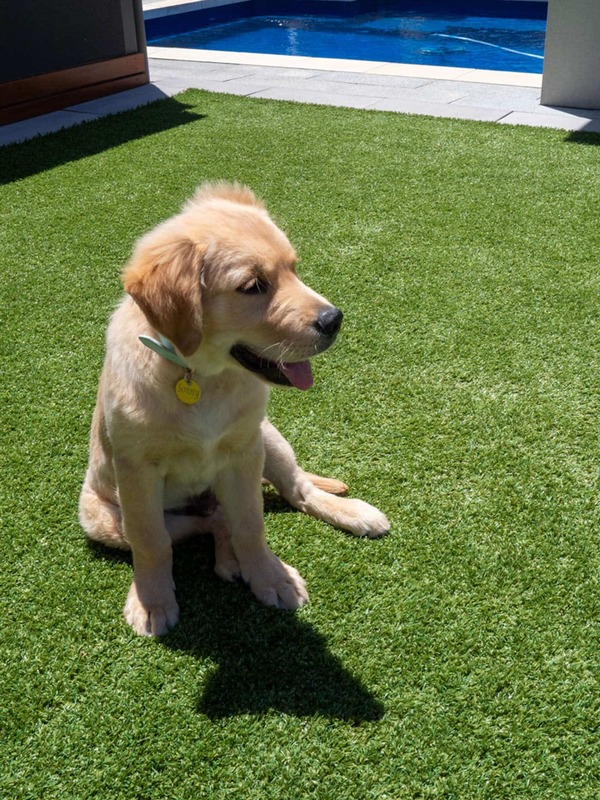 Their friendly demeanour and love of making friends makes them great around kids, and their bubbly personality means they’re great around both strangers and other dogs. 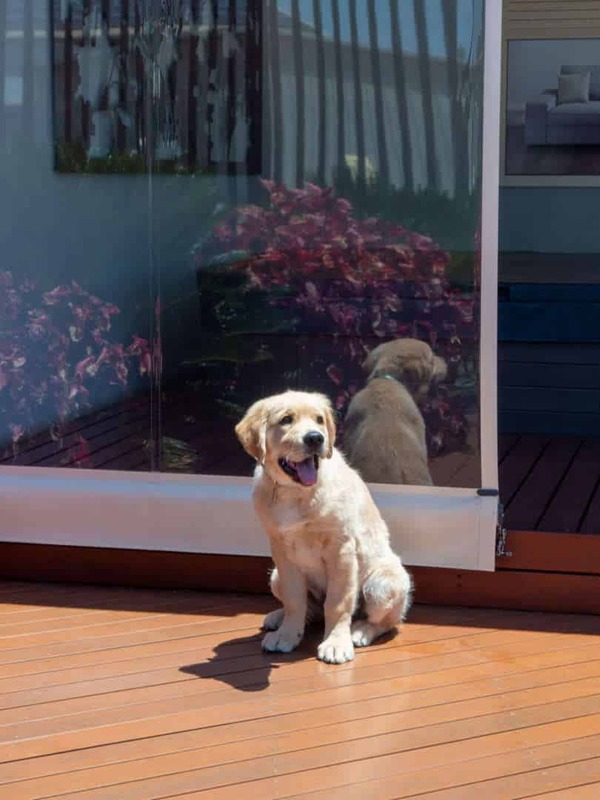 Their trusting and gentle disposition means they probably wouldn’t be good at keeping intruders away, but at least they’ll distract any burglars by licking them to death! Sonny lumbered in with a huge grin on his face, eager to meet everyone in the office. He went about getting to know the team and his grin and excited demeanour meant we all fell in love instantly. Sonny made sure he didn’t leave anyone out, and after about 10 minutes he had said hello to every single one of us. His grin and his waggly tail made the morning fly by. He spent time at each of our desks, and we were happy to provide plenty of pats and head scritches. After Sonny’s meet and greet, we decided it was time to put him to work. We gave him a tour of our display village and took the chance to take some photos. Sonny certainly wasn’t camera shy! He had a great time posing for our photographer, as well as enjoying all the luxuries our display centre had to offer. He frolicked on the artificial grass and relaxed on the timber deck under the shade of our outdoor blinds. Unfortunately all good things must come to an end, and Sonny eventually tired himself out. He fell asleep in the car on the way home, putting a cherry on top of a great morning. “It’s always nice to show up to work and meet a new pup, especially when they’re as happy as Sonny was. Golden Retrievers are always a friendly breed, but Sonny definitely took it to the next level. “Sonny was such a happy dog, and he definitely improved everyone’s morning. “I know that I’m very biased, but there is no better pup than my Sonny boy. When he came into the office everyone was so excited to see him (can you blame them? ), and he was absolutely in his element meeting all the new people and exploring the office and display village. When you get a big dog you don’t expect to get many cuddles or for them to be very affectionate, but man, we were wrong! Sonny lives with two Westies and definitely thinks that he is one – he will sit on your lap any chance he gets. A Content Writer at Australian Outdoor Living, Anthony spends the majority of his time in an office writing articles about being outdoors. He is an avid Port Power fan and unashamed dog-lover, and like everyone else at AOL he enjoys spending time outdoors with family and friends.